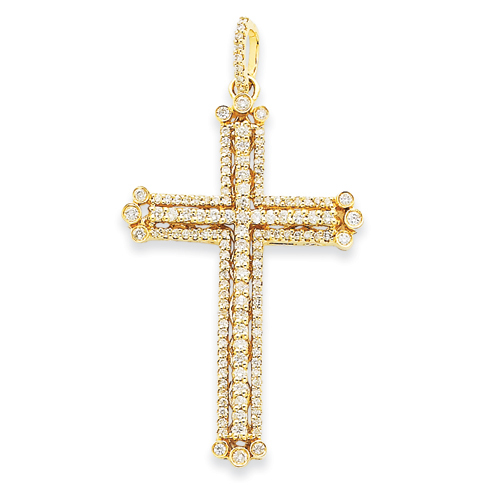 9/10 ct diamond budded cross pendant is made of 14kt yellow gold. Weight: 5.01 grams. Ct weight: 0.94. Item measures 1 inch wide by 2 inches tall with fancy bail. Import.